Today I have the Polish Pickup from Ever After! Unfortunately, I was only given the polish, so I don't know what the inspiration or cost will be! But if you're like me, you buy a polish for the looks, and not normally the name, so let's check out this pretty color! Take a seat, grab some snacks, and check out the newest KBShimmer collection, which releases on October 1! The Falloween collection includes every finish so there's something for everyone! If it isn't clear, Halloween is my absolute favorite. Last year, I did my own 13 days of Halloween challenge (I'm going to try that again or something similar) and I know I'll be reaching for these again and again. Fall and Halloween. What could be better? Hi all! Sorry for the later night post tonight, but I just let the day get away from me! I'm continuing some PPU love with Alter Ego! The theme this month is Villians and Cynthia chose Tyler Durden from Fight Club. I guess he is a villian of sorts, at least in Edward Norton's (The Narrator) brain. All that destruction he causes is his Tyler Durden in his head. Hey hey! Are you ready for Polish Pickup for October? It seems like months fly by and I'm already posting another PPU color! KBShimmer kicks them off with Resting Witch Face, inspired by the Wicked Witch of the West! Of course, this color is green and black, as those are her signature colors! I shared individual swatches of Lechat Color Me Autumn yesterday and today I'm sharing a nail art I wore from Wednesday-Monday of this past week. That's how much I loved this. I saw THIS post from Polish Those Nails and loved the look! I immediately knew I wanted to do this with the Color Me Autumn polishes! It's fall!!!! Not only for the calendar, but finally in the weather. Now it's supposed to be in the 80s this week (NOT normal for NYC), but I was excited to have an amazing weekend, going to farms, my college town, and wearing a denim jacket! YES. I want layers! So to celebrate layers, I have the Lechat Dare to Wear Color Me Autumn Collection which I am digging! Hi All! I just wanted to share a quick NOTD I wore the other week. I swatched the Ever After Polishes that would be available during Polish Con Minneapolis, and I had to put two of them back on! I wore them plain for a day and then did some quick stamping. Since it's finally fall, I figured I would share them with you! Pusheen is here! This month not only is Pusheen EATING Sushi, Pusheen is IN the sushi. LOL. So I went for it and totally did what I'm calling PuSushi. Pusheesi? How do we combine these words?! Yum yum yum let's enjoy sushi! Hi all! I have the first of two fall collections from Lechat Dare to Wear today. I'm starting with their Metallux collection! This is actually their second Metallux collection and you can see part of their first collection HERE. 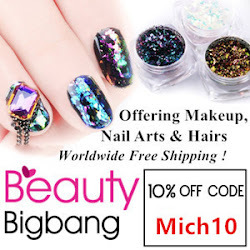 This is a collection of 6 multichrome polishes, and if you love multichromes, you'll love these! A big Happy Birthday to my dad today!!! I had these decals in my swatch pile and I figured there's no better way to celebrate than with cupcakes and treats on my nails to celebrate my dad! I love the colors and I paired it with more neons and brightness! If you're new to this blog, you need to know how much I love to matte polishes and nail art. I just love the look of matte. So when Pam of Stella Chroma let me know that her fall collection would be all mattes, I was already swooning. My favorite season paired with my favorite finish. YES. So here I am today, so excited to share with you this fun collection. Good morning! Today I'm sharing the gorgeous exclusive duo from Rogue Lacquer. These are my first from the brand! These will only be available at Girly Bits. I love shopping at Girly Bits and she has more and more brands, so it's like knocking a lot of stones at once! The Game of Thrones strong women series continues from Stella Chroma. Part of Hella Handmade Creations, this month represents Queen Selyse. As usual, I googled these queens since I haven't seen the show (I know, I know). Queen Selyse's most common image was her in a green garb, so I love when I can easily see the inspiration. Part two of Polish Con goodness! 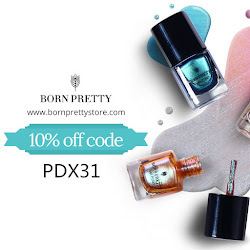 I'm back with five more brands and their special polishes, deals, and exclusive items. Polish Con is THIS Saturday, September 15, in Minneapolis, Minnesota. It looks like it will be a another fun event! I was able to go to Polish Con Brooklyn and Polish Con White Plains, and both were so fun! So now I bring to you more goodies. Don't forget that there will be a Polish Fairy system where you can place orders NOW and have someone shop for you at the event. Don't forget to check out Part One from yesterday. Good morning! Today and tomorrow I'll be sharing a ton of polishes! I'm one of the Polish Con Fall 2018 official bloggers, so I hope to provide you with as much information on the polishes available, pricing, and more! I have broken up the posts as to not overwhelm you. Please post any questions in the comments! Cheers! Today I have a fun giveaway that I meant to do in July, and well, time got away from me. But then again, the next Polish Con is in Minneapolis on September 15, so I figured this would get you excited for the event. KBShimmer did a special polish Hard to Empress, for Polish Con NY. This was also available on her site, but it has long sold out! So now is your last chance to get this polish! I can't even with this product review! It's possibly the funniest bath and body item EVER! I shared with your Alter Ego's Polish Pickup last week (and it's still available until tomorrow!). It's based on Svengoolie. Well, I watched some Youtube videos and he gets rubber chickens thrown at him. Cynthia special created a soap mold in a rubber chicken form, and you won't believe the scent! Hi all! Today is my boyfriend's birthday and I decided to pull out this Beauty Big Bang stamping plate to celebrate! I had originally planned to do a sharpie mani, but the 100 degree heat and the a million percent humidity, last night was getting to me. Rather, I went with a smoosh mani stamping look! Polish Pickup Horror Movies goes live tomorrow, so I'm squeezing in one last polish to add to your wish list and it's a winner. I feel like black polish has grown on me over the last year or so. I used to really dislike it beyond for nail art. But when makers add flakes and shimmers, I can really get into it! You might recall that I did a dotticure with dusty rainbow cremes the other week. When I was trying to figure out what I wanted to do for my back to school nails last week, I went through all these complicated designs. But then, we were going through a heatwave and I didn't want to take hours. So I did this dotticure, but with neons! I think this Stella Chroma might be one of my most favorite. I actually put this one back ON after I swatched it and wore it for a few days! That's how much I love this polish! Inspired by To The Devil A Daughter (another movie I haven't seen), I saw the picture she was inspired by and it works! Okay, let's get to this beauty. So for Cynthia of Alter Ego's inspiration, she went with Svengoolie! So this is before my time, but after she mentioned it, I noticed that it's still on Saturday nights! So I actually caught a bit of an episode. Svengoolie shares horror movies and comments on it! When I mentioned the polish to my mother, she immediately asked if it were black or brown, so I'm going to say this polish matches the inspo!